If you believe that public service research and theories should be applied to the challenges facing governments, nonprofits and the private sector today and into tomorrow, then come join us and learn how to do good and do it well. The Trachtenberg School prepares graduate students for careers in public service, including government, the nonprofit sector, and private business. Our degree programs are overseen by the Columbian College of Arts and Sciences, including the admissions process. If you want to be in the heart of Washington, D.C. while you gain knowledge and skills you can use to tackle big challenges all around the world, The Trachtenberg School, located on the George Washington University’s Foggy Bottom campus, is waiting for you. Most classes within the Trachtenberg School take place on campus with a limited number being offered online. 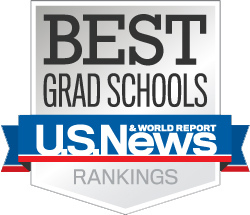 In the 2016 US News & World Report grad school rankings, the Trachtenberg School is ranked overall as #13 among Public Affairs schools, making the Trachtenberg School the highest ranked public affairs school in D.C., Maryland and Virginia.